Get the trend, wear the trend, while still being distinctly you with this One-of-a-Kind-necklace. Want to stand out and get noticed...want to wear the latest trend but still be you? This is that piece! Express your personal style with this fabulous, One-of-a-Kind etched and brushed silver drop leaf pendant. Etched silver drop leaf necklace. 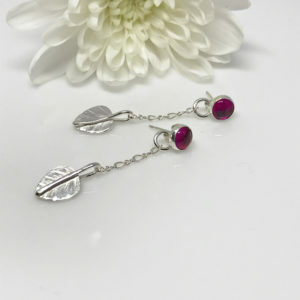 A single hand crafted leaf drops from delicate Argentium silver chain. 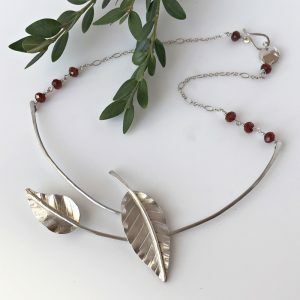 The leaf pendant is etched then brushed for a textured effect. It’s make-up is also Argentium silver. 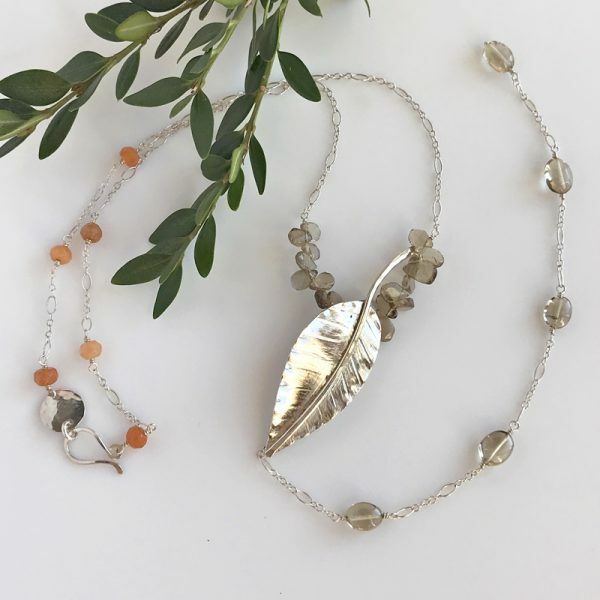 Not only will you find softly hued, smokey quartz gemstones adorning the leaf but there’s also lovely, red adventurine stones accenting the chain. Similarly, the clasp is also hand forged from Argentium silver. 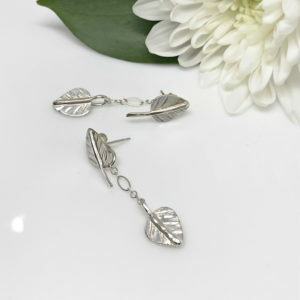 Swaying from the leaf is another strand of delicate silver chain. This chain is also accented with smoky quartz only these stones are oval shaped. One of the most feminine and flirty statement pieces you’ll ever find. It’s simply stunning. 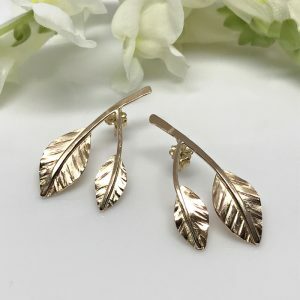 The length, including the chain and leaf pendant is 23 inches. The falling chain adds an extra 6 and a half inches.